Help keep Dona Ana County beautiful by reporting illegal dumpsites. 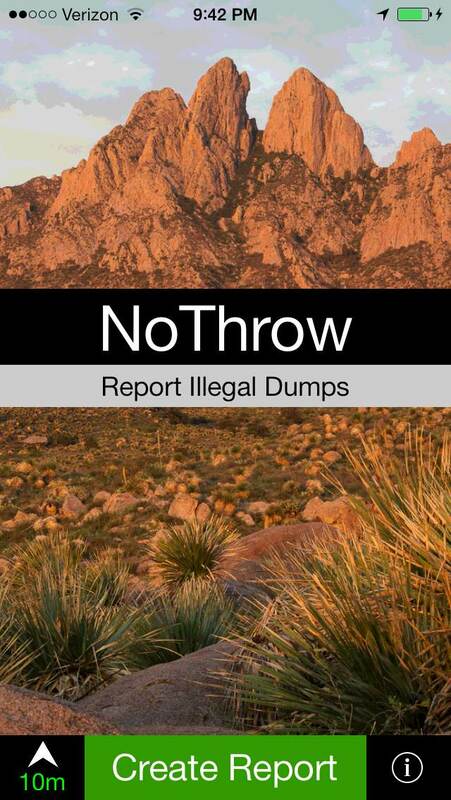 Join the movement against illegal dumping in Dona Ana County with NoThrow. It's a simple way to easily and discretely report illegal dumping. With a quick photo and a few simple steps, you can be a vital player in UnTrashing Our Desert! 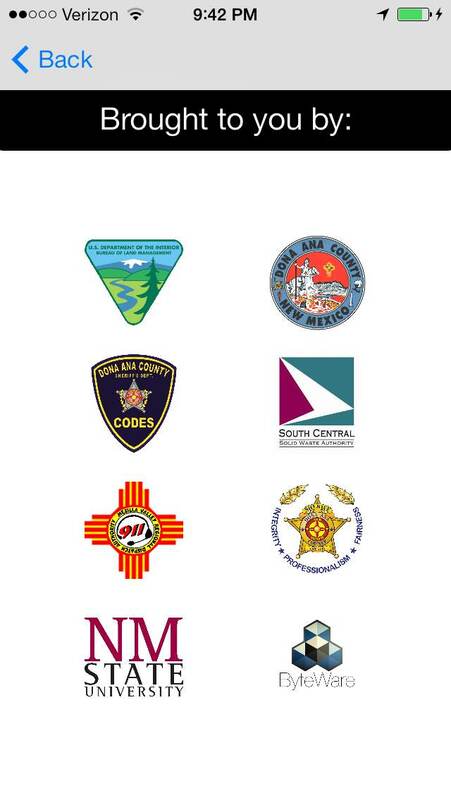 Federal, county and city entities within Dona Ana County have joined forces to launch a comprehensive campaign to involve concerned community members to help stop illegal dumping. The goal of our combined efforts will increase the beauty of the landscape; improve the health of the environment for wildlife and future generations to enjoy; improve public health and safety; and improve the local economy for the benefit of all Dona Ana County residents. Engaging user interface allows you to take a picture of illegal dumping activity and create an initial report with details. Customize your report using intuitive size and category options and provide detailed comments of illegal dumping activity. Share location information from your iOS device along with your photo and report with multiple agencies for official follow-up. Information page with hyperlinks to cooperating agencies for convenient access to contact information for further questions.